Opinion is split on augmented reality. Some believe it’s taking time to pick up momentum, whilst developments in the tech world suggest it’s very much established. We’re familiar with AR and VR in gaming (virtual reality is the complete immersion in a virtual world- you’ve seen the headsets), it’s readily available on many apps, such as Ikea’s Place and the Pokémon Go craze left few corners of the world untouched in 2016. Despite the fun and games, AR is becoming serious business. 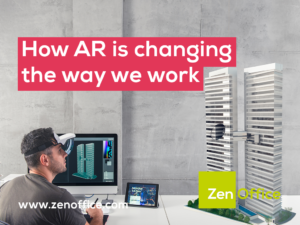 Productivity gains throughout manufacturing, engineering and healthcare sectors demonstrate that AR isn’t just a gimmick when it comes to the workplace. Walmart is rolling-out virtual reality training programs for it’s staff in the US, providing the opportunity for them to “have the freedom to make mistakes and learn by “doing,” all while in a safe environment”. It’s a compelling thought where VR and AR could be used as an alternative version of the workplace, where health and safety concerns are minimised and extensive training could be implemented, saving time and money along the way. Surgeons are trialling AR systems featuring glasses that visualise data from ultrasound scanners, allowing them to peer through skin at underlying tissue. AR can also be used to superimpose clinical images directly in the surgeon’s view of the patient, saving the need to repeatedly look away at multiple screens, improving concentration and accuracy. Remember Google Glass? 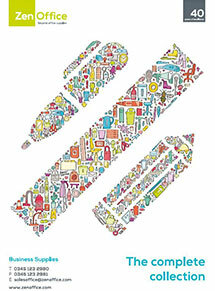 Although it lacked success on a consumer level, the re-launch of ‘Glass Enterprise’, in 2017 has provided giants such as Volkswagen, Boeing and DHL huge advances in quality and productivity in the workplace thanks to the delivery of hands-free real-time information, updates and assistance, forgoing the need for workers to stop to consult a computer or a tablet. Whilst for most this all sounds very ‘Black Mirror’-esque, AR is expected to become as familiar in the workplace as Skype and remote desktop access, watch this space.